This kitchen goes all the way with its retro look. 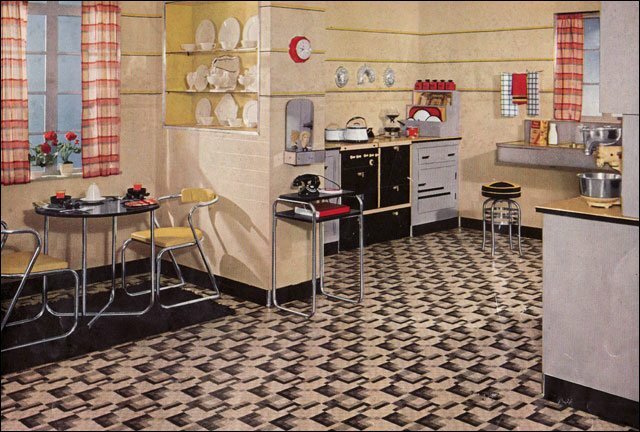 The room features a charming vinyl floor with a vintage black and white pattern. A table with two matching chairs fills a corner of the room with 1960s charm. An additional matching chair and stool can be found on the kitchen’s other side, just in front of a retro kitchen sink, stove and cabinet.